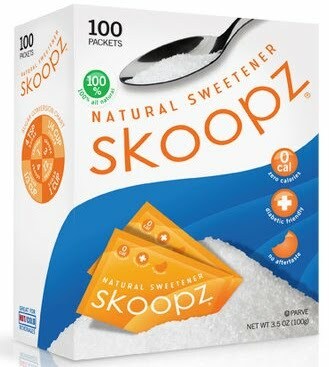 Skoopz is an all-natural sweetener that mimics the look and feel of sugar without all the calories. It contains no high fructose corn syrup or artificial sweeteners and is safe for children and diabetics, making it a great, natural alternative to sugar. 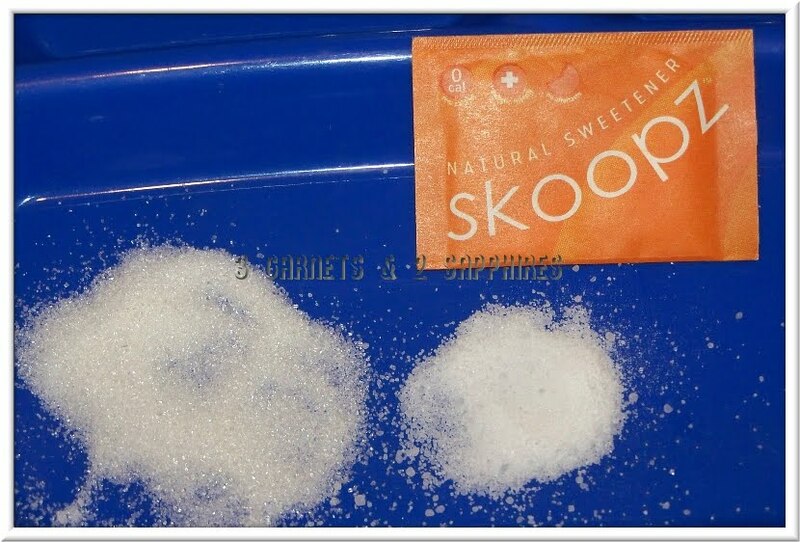 Also, Skoopz is packaged and distributed in Atlanta, where it was founded, so it is competitively priced because it is from the U.S. Skoopz contains the following all-natural ingredients: erythritol, xylitol, maltitol, maltodextrin, and stevia (details about each on the Skoopz website), all of which are safe ingredients. Honestly, I am very picky about my sugar substitutes and pay very close attention to what’s in them and, of course, how they taste. 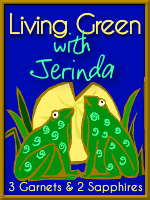 I do not ever use artificial sweeteners for my family or myself. Lately, our sweetener of choice has been Stevia extract, in liquid form, because it blends into our drinks really well and doesn’t taste too “fake”. Of course, it doesn’t taste exactly like real sugar, but it’s close enough. I was really skeptical that Skoopz would live up to its claims, but I was wrong. Its consistency is almost identical to sugar and it blends in better. Skoopz tastes just as good as plain Stevia does, as well. It really is tasty and doesn’t leave a bad aftertaste at all. I can even lick it off my finger, plain, and it’s not repulsive, like some other sugar substitutes. I am very happy with this sweetener and it’s also very competitively priced at $3.99 for 50 packets or $7.99 for 100. My only suggestion for the company would be to offer it in a scoopable size, instead of just packets. You can purchase Skoopz on their website, www.skoopznatural.com, or you can search for a retailer near you with the store locator. Find out more about this product by visiting Skoopz on Facebook and Skoopz Natural on Twitter. Thank you to Skoopz for providing a complimentary product sample for us to base this review upon.